At work, Christmas music has been blastin constantly ever since November 25. I don't know how Pandora works exactly, but just between those three stations, I've heard about every Christmas song you can think of (and every cover of each of those songs). Through this, I have realized how some artists just have Christmas down. Seriously, some artists have made recording a Christmas album into an art. (besides Jo Bros, of course). Six words for you: Come. Thou. Font. Of. Every. Blessing. As much as I dislike this show and most all of their covers, I can't not like this Christmas album. Some of the songs give me chills. Chills, people. Any disputes? What are your favorite Christmas albums? p.s. that huge space between Mariah Carey and the other albums is symbolic. That is where I believe her album belongs. It stands alone ...way above all others. When I first saw that huge gap in between Exhibit A and Exhibit B, I thought you were starting to lose your touch. Oh how wrong I was. John Denver and the Muppets: A Christmas Together. It's best on vinyl. 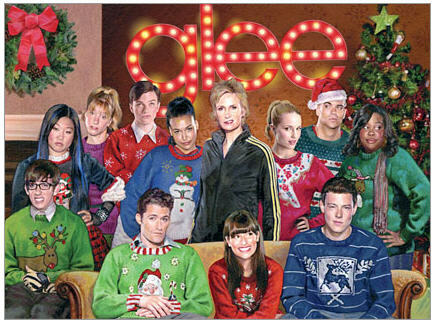 One of my favorites on Glee Christmas is Deck the Halls/Up on the Housetop/Single Ladies. I just discovered that Single Ladies was in there a few weeks ago. I'd like to second that John Denver and the Muppets Christmas album. haha! Love the sufjan stevens album! I posted about my favorite albums a few days ago. :D Yesterday maybe... haha! P.S. You should enter the giant giveaway I have going on right now! the new comfort and joy album is amazing-- i've played it on repeat about a hundred times. You know... ever since my first job at 16, where the radio broke during Christmas and was stuck on the Christmas music XM station until February, I just can't stomach much of any Christmas music! That Sufjan Stevens album however... I might have to try! 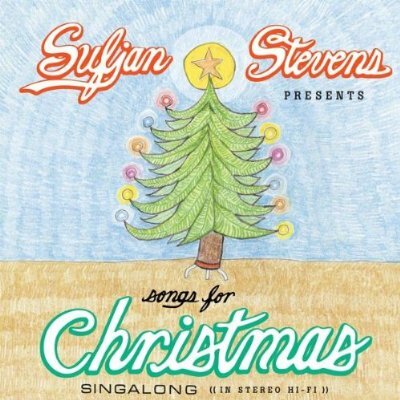 sufjan's christmas album takes the cake. bessst christmas tunes ever. I'm so pleased to learn that Aly and Aj have a Christmas album! Also, I was just about to post them family pictures to my blog. So, like, don't think I'm copying you or something. I want the glee christmas album!